↑ 1.0 1.1 Dilworth, Thomas J. (July 6, 2007). "What's Next for Norah Jones?". ABC News. http://abcnews.go.com/GMA/SummerConcert/story?id=3342169। আহৰণ কৰা হৈছে: November 19, 2009. "Shankar officially changed her name to Norah Jones when she was 16, and has been using it ever since." ↑ "Grammy Stars Make Beeline for Korea". The Chosun Ilbo. October 12, 2012. http://english.chosun.com/site/data/html_dir/2012/10/12/2012101201118.html. ↑ "Artists of the Decade". Billboard.com. http://www.billboard.com/#/charts-decade-end/artists-of-the-decade?year=2009&begin=51&order=position। আহৰণ কৰা হৈছে: 2013-01-06. ↑ Brown, Helen (April 27, 2012). "Norah Jones, Little Broken Hearts, CD review". The Telegraph. 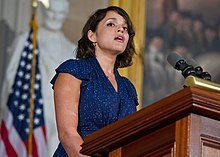 http://www.telegraph.co.uk/culture/music/cdreviews/9229594/Norah-Jones-Little-Broken-Hearts-CD-review.htmll। আহৰণ কৰা হৈছে: 2012-07-30. ↑ "Norah Jones sweeps Grammy Awards". CNN.com. February 28, 2003. http://edition.cnn.com/2003/SHOWBIZ/Music/02/28/mroom.norah.jones/। আহৰণ কৰা হৈছে: 2010-08-19. ↑ 6.0 6.1 "Hard to say no to free love: Ravi Shankar". Press Trust of India. Rediff.com. April 29, 2003. http://www.rediff.com/news/2003/may/13ravi.htm। আহৰণ কৰা হৈছে: June 20, 2014. ↑ "Norah Jones – Biography". http://www.imdb.com/name/nm1289528/bio। আহৰণ কৰা হৈছে: June 20, 2014. ↑ "Norah Jones and Lee Alexander Call it Quits". theinsider.com. Archived from the original on March 19, 2009. https://web.archive.org/20090319053938/http://www.theinsider.com:80/news/568056_Norah_Jones_breaks_up_with_boyfriend_Lee_Alexander। আহৰণ কৰা হৈছে: 2009-11-14. ↑ "Michelle Obama Invites Military Mothers To White House For Mother's Day Event". The Huffington Post. http://www.huffingtonpost.com/2014/05/12/michelle-obama-military-mothers_n_5310929.html। আহৰণ কৰা হৈছে: 2009-11-14.